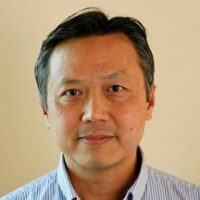 Hai Do is the Chief of Learning English, VOA’s multimedia source of news and information for millions of English learners worldwide. He first became familiar with the Voice of America when listening to shortwave broadcasts while growing up in South Vietnam and gained a solid appreciation for the agency. That appreciation has shaped his thinking as Chief of Learning English, knowing how he depended on VOA in his youth, many people are relying on his respected VOA branch to help them understand the English language. Do you feel an added motivation to succeed because you’re targeting audiences trying to learn English? You have years of web, mobile, social media and management experience. How does that play into your role as Chief of the Learning English branch? How critical in your branch are social media outlets such as Facebook and Twitter? What has surprised you the most in Learning English? How long did you serve as Acting Chief of Learning English? Was that your first position at VOA when you came to the agency in 2014? Under your leadership as Acting Chief, Learning English saw huge growth both online and in social media. How did you make that happen? How do you maintain that momentum? Before coming to VOA, you were an Assistant Managing Editor at The Philadelphia Inquirer, responsible for its website, multimedia and national and foreign news. You also worked as a reporter, photographer and director of photography for United Press International, Agence France-Presse (AFP) and Gannett Newspapers. What are the most important aspects from those experiences that you’ve applied to VOA? What kind of an appreciation did you gain for VOA by listening to the network’s shortwave broadcasts while growing up in South Vietnam? When I was a child, there were several changes of government in South Vietnam. Without fail, every general that came to power would capture the radio station first to broadcast messages from the new regime. When you open the daily newspapers, there would be black ink running through paragraph after paragraph of the news reports. You have to live in a society like that to really appreciate what a lifeline the free flow of information from VOA really means. In 1975, you and your family left South Vietnam after the fall of Saigon on a cargo ship and were rescued by a U.S. warship in the South China Sea. Tell me more about that experience. Was it harrowing? Because you had to flee your home country while it was being taken over by Communist forces, how important is the message of democracy to you? What has your experience at VOA meant for you professionally and personally?